First of all, we want to thank all webinar attendees for the comments, questions, and Juniper-related success stories. Positive feedback from customers, future customers, and leaders in the industry is always appreciated. In the unfortunate event that you missed our webinar, we’re here to provide you with the details you need to get up-to-speed on how you can obtain affordable accuracy. Our webinar was presented by Juniper Systems Business Developer Trevor Brown and Utilities and Public Services Manager Ryan Pierson, both of which are experts in the industry. Throughout the webinar these two discuss the value accurate GPS can bring to local governments, though these solutions can be applied to agriculture, forestry, and any other jobs requiring location-based data collection. Juniper Systems designs and manufactures rugged handhelds and precision GPS receivers right here in the USA. As a world leader in the rugged data collection industry, we strive to create quality products to optimize whatever task that falls in front of you. We’re known for our personalized customer service, attention to detail, and of course, our unbeatable ultra-rugged handhelds and GPS receivers. We also understand you’re looking for the best accuracy you can get, at a price point you can afford. We have you covered. Obtaining accurate GPS data plays a critical role in managing successful local-government. 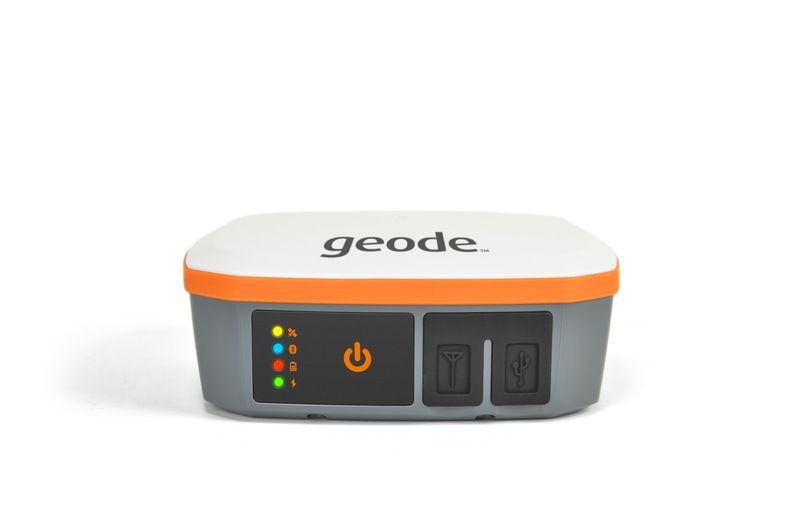 The Geode Real-time Sub-meter GPS Receiver provides this at an affordable price point, without sacrificing the accuracy you need. The Geode’s simplistic design also allows for easy integration into your existing workflow. Our Mesa 2 Rugged Tablet works as the ideal data collector. Running Windows 10 or Android, it has the potential act as your office, anywhere. In addition to the versatile OS options, the Mesa 2 also includes the highest rating against water and dust, an all-day battery life, high visibility 7” display, and a range of communication options. Three options for integrating the Mesa 2 and Geode into your workflow include: A traditional GIS, ESRI Collector, and form-based. Using EZTag™ or Esri Arcpad®, the traditional GIS workflow acts as an alternative to Trimble® TerraSync™/Pathfinder Office®. The webinar will walk you through the planning, collecting, and synchronizing phases of this specific workflow integration. For ESRI GIS software customers, understanding the steps to properly plan, build, share, update, and monitor an Esri Collector project is crucial. There are many strengths to the Esri Collector solution in addition to some some potential roadblocks to being successful with the solution. All of which is discussed in-depth in the embedded webinar recording. The form-based workflow outlined in the webinar discusses the advantages of using Mobile Data Studio, iForms, etc. in your day-to-day. This solution allows you to design custom applications without any programing involved. It also saves you from using paper forms, while presenting the information in a straightforward format. Lastly, there are special discounts on GPS data collection packages offered to local governments. Feel free to reach out to our sales department to see if this applies to you. Our experts can also offer personalized help or consultation to integrate better, more affordable, mapping technology into your existing operation without interrupting existing workflows and software. Feel free to reach out to our sales department at sales@junipersys.com for more information. Enjoy our webinars? Feel free to leave your thoughts in the comments below!